There’s something so simplistic about a plain old turkey wrap dunked in homemade honey mustard. Still, these lowly sandwiches got me through college, and they even made an appearance at my recent engagement party. (What can I say, I know what I like.) For some reason, they never get old. 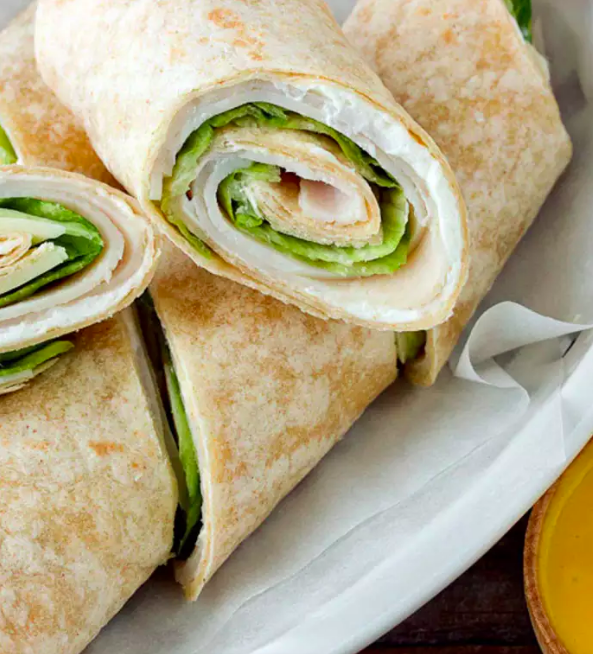 I always have the ingredients for turkey wraps on hand when I need a quick lunch, but that’s not saying they haven’t pulled their weight as dinner. I’ll usually make myself a couple and throw the leftovers in fridge, knowing I have a tasty snack always on the ready. It seems a little silly to offer a recipe, so let’s just call this more of a reminder—a reminder that easy can also be delicious. For the wraps, spread a heaping tablespoon of cream cheese onto the tortilla. 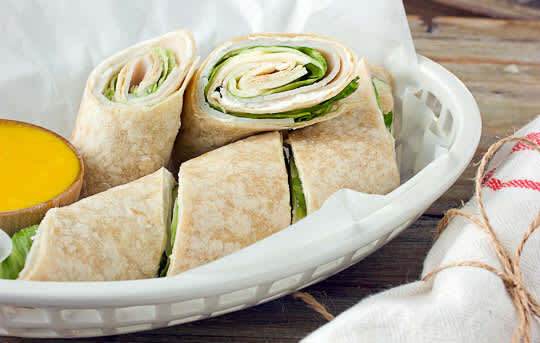 Towards the center of each wrap, layer with 2 slices turkey, lettuce, and 2 slices of cheese. Wrap tightly and slice on the diagonal. Secure with toothpicks, if necessary. (If using tortillas, save the end pieces for snacking.) Serve with honey mustard dip.